But you still need to know how to reverse park for the driving test. Why maybe? Doesn’t anyone know? Why do I need to know how to reverse park? Parking: Reverse Parallel, 90 or 45 Degree , Front or Rear to Kerb. 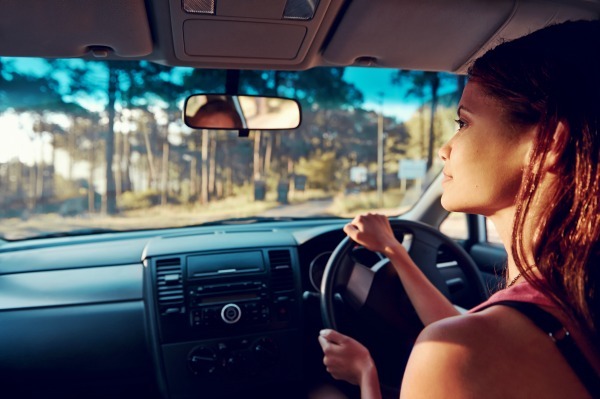 When performing any of these manoeuvres, you will be tested on your ability to position your vehicle in a manner that is safe, legal and using the correct procedure. Without knowing which manoeuvre you will be asked to perform, you do need to be good at them all. Most learners worry too much about reverse parking. Using the four-point LTrent Reverse Park Procedure will ensure that you nail it every time. – Park close and as near as practical to the kerb. This means the vehicle should be parallel and closer than 50cm to the kerb and the wheels must not touch the kerb. – Finish your park at least one metre away from other the vehicles. – Reverse no more than seven metres back from the vehicle in front when performing the park. During the test, you may be asked to perform an angle park, either 90 or 45 degrees from the kerb. Make sure you read the signs as it could be signed a ‘front or rear to kerb only’ space. – Finish as close as practical to the angle required for that parking area. – Finish within any marked lines. – Ensure you approach the park in the correct direction. A three-point turn is performed where you would like to turn around and drive in the other direction but the street is too narrow for a U-turn. – Check left and right for traffic before each movement during the turn. – Use a maximum of five direction changes. If it can be done it three points, you are expected to do so. – Not use a driveway. A kerb side stop will involve returning the vehicle to the kerb, shutting the car down, turning it back on and leaving the kerb. More often than not, this manoeuvre is performed on a hill, bringing a hill start into play. – Park parallel to and less than 50 cm from the kerb. – Shut the car down using the correct procedure. – Start the car using the correct procedure. – Not roll back more than 50cm. Mounting the kerb at any time during the test will result in a fail. When performing any manoeuvres, you must check for other vehicles, road users and potential hazards. – Move towards the kerb to commence a manoeuvre. – Leave the kerb to rejoin the traffic. – Steer while reversing as the front of your vehicle will swing into the lane. While reversing you must check in the direction of travel. You can master all these and more with Trent Driving School.